Assault on writers ,around 50 writers arrested ! 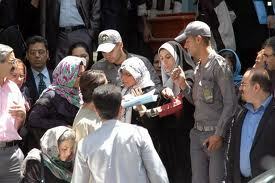 Children of Mehdi Khazali are also among those arrested ! According to report the number of people arrested are said to be 50 people. Disputes among Ahmadinejad ( Head of Government),Mohammad Sadegh Larijani( Head of Judiciary ) and Ali Larijani ( Head of Majles/Parliament) has reached to a new level and Khamenei warned them to end their disputes ! 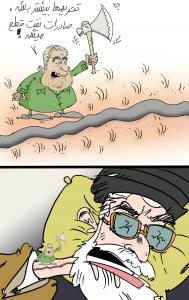 Cartoon by Nik Kosar - In Cartoon Khamenei says: Pay attention to your own work!Cartoon shows Mohammad Sadegh Larijani- Ahmadinejad and Ali Larijani. 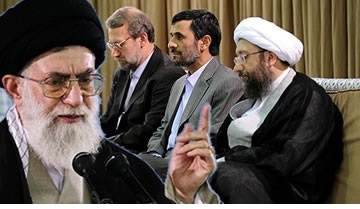 On Wednesday Khamenei warned head of Government,parliament and judiciary to end their disputes and said ; from now to presidential election day (on June 2013) everyone must end their disputes or else it will be called as treason to the country. (Paris, October 31, 2012) – Iran’s judiciary and prison authorities should end mistreatment of the prominent rights lawyer Nasrin Sotoudeh, Nobel peace laureate Shirin Ebadi and six human rights organizations said today. Ebadi and the rights groups also called on Iran’s authorities to allow all prisoners access to necessary medical care and family visits to which they are entitled under international human rights law. 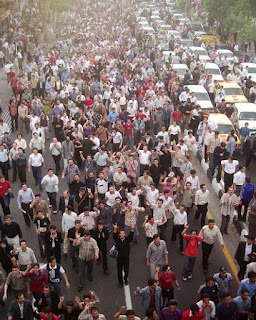 Human Rights Watch, Amnesty International, the International Campaign for Human Rights in Iran, Reporters Without Borders (RSF), the International Federation for Human Rights (FIDH), and the Iranian League for the Defence of Human Rights (LDDHI), joined by Ebadi, renewed their call on authorities to quash the peaceful activists’ convictions and release them unconditionally. Since the arrest in 2010 of Sotoudeh, a 47-year-old human rights lawyer and mother of two children, authorities have frequently held her in solitary confinement and prevented her from regularly meeting or speaking with her family. Iranian prison authorities have, in the past few months, routinely denied other political prisoners regular visits by their loved ones and access to adequate medical treatment. 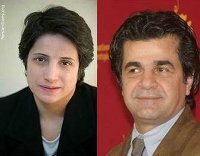 On October 26, 2012, the European Parliament announced that it had awarded this year’s Sakharov Prize for Freedom of Thought to Sotoudeh and the Iranian filmmaker Jafar Panahi. Khandan said that Sotoudeh initiated her hunger strike after hearing that judiciary officials had summoned her 12-year-old daughter to inform her that she would not be allowed to travel abroad. Khandan said that Sotoudeh felt “she had no choice” but to go on hunger strike to express her objection to the authorities’ harassment of her family and denial of her visitation rights. For the past three months, Evin prison authorities have prevented Sotoudeh’s children from visiting their mother face to face and severely restricted Sotoudeh’s ability to make telephone calls from prison. They have prohibited her from seeing her mother and brother for almost a year. In January 2011 a Revolutionary Court sentenced Sotoudeh to 11 years in prison and barred her from practicing law or leaving the country for 20 years after her conviction on charges of “acting against the national security” and “propaganda against the system.” An appeals court reduced her sentence to six years and a 10-year ban on travel and practicing law. 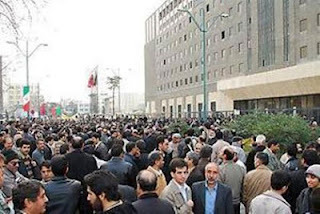 Criminal and Revolutionary Courts do not have the authority under Iranian law to ban lawyers from practicing, however, as this comes under the Disciplinary Court for Lawyers. Amrabadi is serving a one-year sentence and her husband, Masoud Bastani, also a journalist, is serving a six-year sentence, both on security-related charges including “propaganda against the state” for articles they wrote regarding the disputed 2009 presidential election. The Iranian authorities are holding Amrabadi in Evin, while her husband is in Rajai Shahr prison. Officials have denied needed medical care to two female political detainees, Bahareh Hedayat and Mahboubeh Karami. Sources told the rights groups that officials have denied Karami access to adequate psychological care for her severe and debilitating depression. A Revolutionary Court sentenced Karami to three years on national security-related charges. Hedayat was allowed to leave prison to seek medical treatment for kidney and digestive tract problems but was forced to return before she had fully recovered. She is serving a 10-year prison term on national security charges. Iranian judicial and security officials have regularly made it harder for political prisoners to exercise their right to legal counsel. Many prominent rights lawyers are serving prison sentences themselves on charges directly related to their defense of their clients, which has a chilling effect on lawyers providing services. Javid Houtan Kiyan (Houtan Kian) is serving an 11-year sentence, charged with “acting against national security.” Iranian authorities arrested Houtan Kian in October 2010 after he publicized the case of his client, Sakineh Mohammadi Ashtiani. In 2006 she was sentenced to death by stoning, though the resulting international attention led to suspension of her sentence. Since his arrest in September 2010, Houtan Kian has had minimal visitation rights but has not received adequate medical care despite suffering from a serious digestive illness. 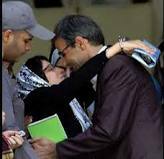 On March 4, 2012, the prominent rights lawyer Abdolfattah Soltani learned that a Revolutionary Court had sentenced him to 18 years in prison, barred him from practicing law for 20 years, and ordered him to serve his sentence in Barazjan, about 1200 kilometers south of Tehran. Prosecutors charged Soltani with “propaganda against the system,” “assembly and collusion against the state,” and “establishing an illegal group” – namely, the Center for Human Rights Defenders (CHRD), which Soltani co-founded with Ebadi. An appeals court later reduced Soltani’s sentence to 13 years but upheld the 20-year ban on practicing law. In April 2012, an appeals court upheld a nine-year sentence for another lawyer, Mohammad Ali Dadkhah, on charges related to interviews with foreign media and membership in CHRD. The court also sentenced Dadkhah to fines and flogging and banned him practicing law and teaching for 10 years. Mohammad Seifzadeh, another rights lawyer and member of CHRD, is serving a two-year sentence on similar charges, with other cases pending against him. International and Iranian law require prison authorities to provide all those held with adequate medical care. 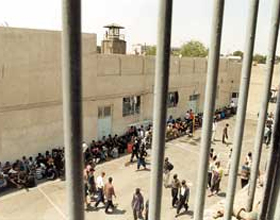 Iran’s State Prison Organization regulations state that, if necessary, detainees must be transferred to a hospital outside the prison facility. The United Nations Standard Minimum Rules for the Treatment of Prisoners require that authorities transfer all those held needing specialist treatment to specialized institutions, including civilian hospitals. Both Iranian law and international law require prison authorities to provide basic necessities to all prisoners, to allow them regular visits – including personal visits by family members, and to treat them with dignity and respect. The International Covenant on Civil and Political Rights, to which Iran is a state party, prohibits inhuman or degrading treatment or punishment. Recent days Government agencies hanged this banner along highways and soon it was removed, why? 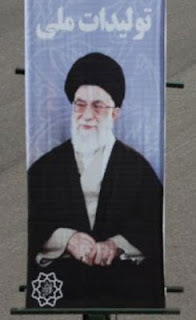 The banner shows the picture of Ayatollah Khamenei leader of the Islamic republic in Iran and the sentence over his head reads : National Productions !!??? Since in recent years Khamenei was talking about the importance of the " Resistance Economy " and " National Productions " ,the government agencies took those words and added Khamenei's picture and made massive banners and hanged along highways. Iranian people were making fun of these banners ," Khamenei is the National Products "!!!!??? "Rejaei Shahr " Prison in Iran !
" Rejaei Shahr " in Iran is in the suburb of Karaj . It has capacity of less than 1000 prisoners, but it is filled with less than 5000 prisoners.According to report, there are 1117 people under death sentence/death raw and every prisoner with death sentence has to wait five years before the execution and that means; more than 1825 days of dying , a gradual death or a daily torture for five years. More than 160 countries in the world has banned death sentence but Islamic Republic and 41other countries continue death sentence. A mother's request on her son's whereabouts ? 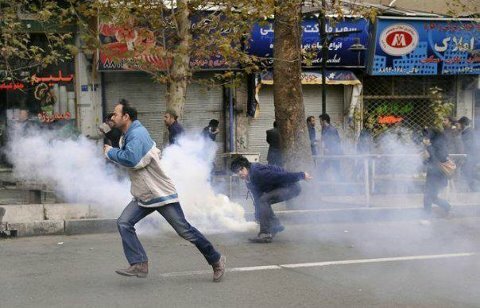 Five days after students uprising in Iran( 14 years ago) which shook Iran for 6 days,Said Zeinali a student was arrested by Islamic regime security forces in Iran and since then the mother of this young man is searching for her son. Regime officials have told her, they have released him but up to now there is no news about Said. Where is Said? What has happened to him? Akram Neghabi the mother of this student said: "The officials at prosecutors office told her that; her son was released, but after attending to the prosecutors office; they have said; they have made mistake.They have taken Said 14 years ago and won't say anything, however, they tell me , you must put yourself to the position of those mothers whose sons have gone to the war and didn't receive their bodies .Hoe can i compare my situation with those mothers, he wasn't at war , my son was arrested right in front of my eyes in my home." All she heard from him was a phone call and then nothing ,nothing for 14 years. 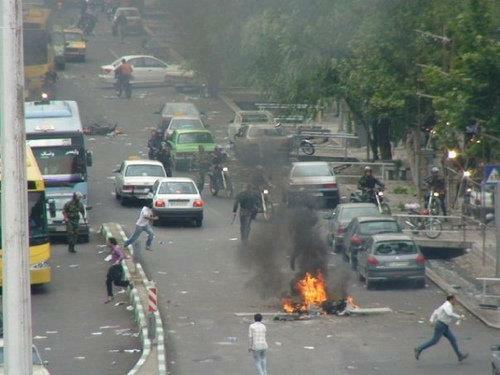 Said Zeinali was a graduate in computer science from Tehran University.
" If my son is killed ,they should tell us. Is he alive ? They play game with us, up to now, we have had many meetings with prosecutor office. Mr. Khodabakhshian told to my husband that : whenever we have information about your son and wanted to let you know , but he changes his place. At the end of the meeting they said ,the file of Said is with "Haji" meaning Mr. Dolatabadi ." 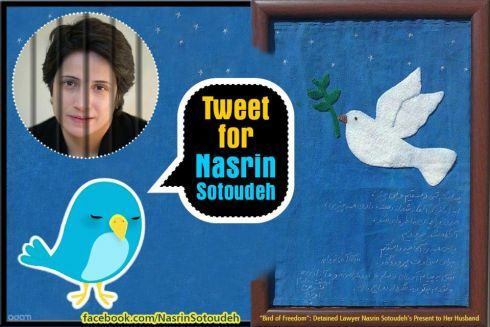 Nasrin Sotoudeh Iranian imprisoned lawyer and a civil rights advocate on 14 days of hunger strike in Evin prison ! Two beautiful Iranian people with big heart are imprisoned by Islamic regime in Iran,received European Union awards ! Nasrin Sotoudeh lawyer and a civil rights advocate , Jafar Panahi an international award winning film maker, both with beautiful heart and defender of human rights & green movement in 2009 are arrested and imprisoned by the Islamic Republic regime in Iran. They are in prison because of their beautiful work and big heart for Iran and it's development for a better society in the Middle East. Nasrin Sotoudeh and Jafar Panahi both are sentenced to 6 years imprisonment and 20 years ban from practicing their profession. Since last Week Nasrin went on hunger strike and then was transferred to prison clinic, her health condition is deteriorating.If Islamic regime in Iran punishes them and sentences them for 6 years imprisonment and 20 years ban from practicing their profession for what they do for Iran and Iranian, European Union instead presented its annual human rights awards( 50,000 Euro ) to both of them this year.Congratulation to Nasrin and Jafar. Prices of almost everything in Iran increases under Islamic regime economic policies ! Day after day and most of the time hourly the prices of basic needs of Iranian people increases and regime officials keep their heads under sands,this is while according to a report the absolute poverty line is between 25-30% according to Doctor Hossein Raghfar an economic expert and every year the population of poverty increases by 2% . Daily costs for a small family, if only they eat breads is between 3500-4000 Tuman. 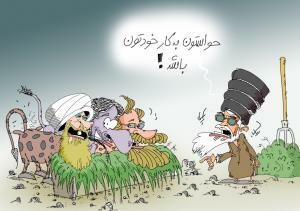 In the coming future Iranian people will face huge difficulties on shelter/housing issue which will cripple the regime. People renting rooms or apartments won't be able to rent any more because of down payment which most people don't have. Taxi rate and others also increases almost daily . 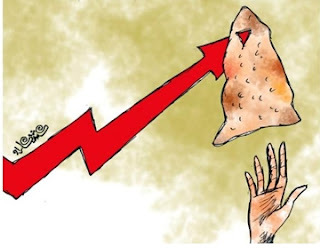 In just 4 days the price of US dollar increased from 2450 to 3500 . 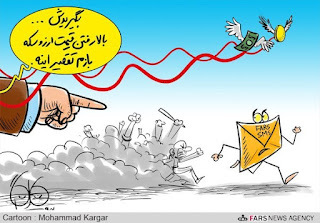 Sometimes every minutes the prices of dollar was increasing. People with fixed income also face difficulties. If this economic situation continues ,the middle class will vanish. Young Iranian have higher education but there are no jobs for them. Decrease in production of auto parts up to 60-80% . Most small businesses for auto parts production lost business and only 40% are open and 110 of such small company are closed . 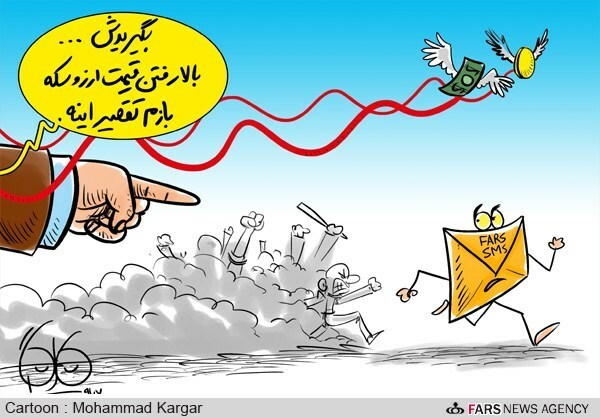 Corruption and embezzlement has increased among most regime officials particularly among Ahmadinejad's Government ministers.The government didn't pay 12 Billion dollars income to the reserve fund . When Khatami was president ,his Government paid the foreign debt and saved 25 Billion Dollars in reserve funds.When Ahmadinejad took office the reserve funds decreased to 10 billion ( in one year ) and to Zero dollar now . This is while his Government had an income of almost 700 billion dollars from Oil. Oil minister of the Islamic regime in Iran : " If sanction increases, Oil export will cut off "
Grade one girl in a school in Iran removes head cover after teacher (by deceiving her) put on her head. Vast majority of Iranian girls hate to cover their body with "Hejab" . Her mother who is present says: Wear it ,but the little girl says : "Nemikham" (I don't want it) ! Islamic regime delegate to inter-parliamentary meeting in Quebec ! during the visit and her family is gravely concerned about her health. By collecting money and gold from holy shrines, regime tries to save its economy ! Mahmoud Ahmadinejad preaches in UN that his Government can manage the whole world and scolds world leaders for their lack of management in their countries and the world , but can't manage the situation of recent Azarbayjan earthquake victims and Iranian -Azari continue to live in harsh condition. Nasrin Sotoudeh on her fourth days of hunger strike ! 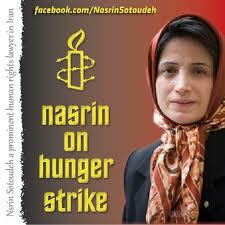 Not to forget that Nasrin is in Evin prison and on her fourth days of hunger strike! Nasrin Sotoudeh the Iranian lawyer and a civil rights advocate ,member of the Association of Human Rights Defenders in Iran, is known as one of the the lawyer defending : Teenage children sentenced to death by Islamic regime , imprisoned human rights defenders , children's rights against physical violence and women rights.In the past year IRAN WATCH CANADA called her the " Daughter of Mossadegh" ,Mossadegh was a lawyer and a nationalist and a prime Minister of Iran in 1953. Nasrin is on her fourth days of hunger strike in protest against regime's inhuman policy banning her to see her children / banning her to have call from her children . 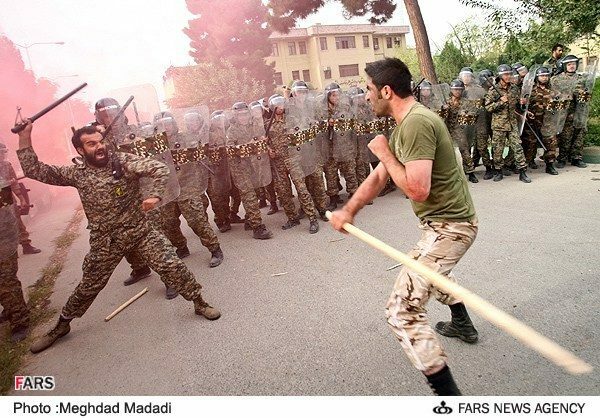 "Razmayesh Eghteshash" combat against riots held by regime in Iran ! 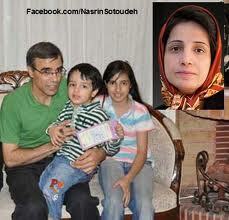 Nasrin sotoudeh the imprisoned Iranian lawyer and civil rights advocate started hunger strike in Evin prison ! 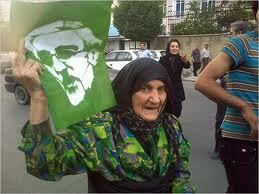 Nasrin Sotoudeh on first day of hunger strike ! In protest against the inhuman policy of the Islamic Republic regime in Iran banning visitation rights of her children for three months and no phone calls, Nasrin Sotoudeh the brave Iranian lawyer and civil rights advocate started hunger strike in Evin prison. Ms. Sotoudeh was arrested and detained 26 months ago and since then spent time in prison. Her husband Mr. Reza Khandan in an interview said: "She had announced from before that, if until Wednesday Oct.17 her demands weren't met ,she would start hunger strike.I tried to postpone the strike until after my letter to the prosecutor allowing us to have the same visitation as others,but she didn't agreed, said the husband." Nasrin was on hunger strike in the past and this isn't the first time she is protesting against regime's inhuman policy. 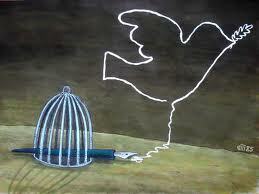 FOCUS ON FREEDOM FOR ALL IRANIAN JOURNALISTS & WRITERS ,PRISONERS OF THE ISLAMIC REGIME IN IRAN ! Islamic regime in Iran sentenced its first mayor after the revolution to 11 years imprisonment and five years ban from political & social activities ! Mr. Mohammad Salamati is the first mayor of Iran after the revolution of 1978-79. He is a leading member of "Nehzat Azadi " political party. His party leader Mehdi Bazargan was chosen by Khomeini (the leader of the revolution) as the first prime minister after the revolution.Mr. Salamati a reformist said; his case and charges is made up by security forces against him. Mr.salamati's lawyer has 20 days to file for appeal.During his imprisonment and interrogation ,he was tortured and he made complaint to judiciary power but ignored by judiciary officials. UN Special Rapporteur Calls for Immediate Release of All Political Prisoners and Prisoners of Conscience, and a Moratorium on Executions. (October 11, 2012) Cataloguing “a wide range of human rights violations,” UN Special Rapporteur on Human Rights in Iran Ahmed Shaheed released his third report today. The Iranian government has thus far failed to cooperate with the mandate of the Special Rapporteur and to address the issues raised in his two earlier reports. 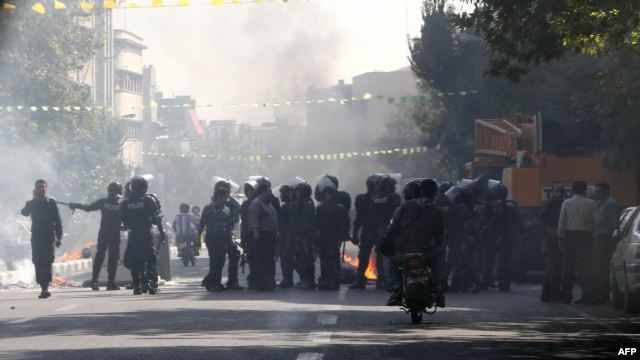 The International Campaign for Human Rights in Iran welcomed this latest UN report and called on the Iranian government to seriously engage with the Special Rapporteur and allow him immediate access to the country. The Campaign also called on related UN mechanisms, including Secretary General Ban Ki-moon, High Commissioner for Human Rights Navi Pillay, and member states of the UN General Assembly, to take further steps to address the dire situation of human rights in Iran. The report was published today in New York for distribution to the UN General Assembly. Shaheed is scheduled to present its contents at the Third Committee of the General Assembly on October 24, 2012, at which time the Iranian delegation will have an opportunity to respond. Continuing with his conclusions, the Special Rapporteur refers to the importance of perpetuating “a culture of tolerance” and asks the Iranian government to prevent discrimination against women and girls, as well as ethnic and religious minorities. He specifically asks the Iranian government to comply with international standards for the minimum age of marriage for girls. In his latest report, Ahmed Shaheed renews his request for an extensive, impartial, and independent review of Iran’s 2009 post-election violence and calls for the immediate release of all political prisoners and prisoners of conscience. The Special Rapporteur also urges a moratorium on all capital punishment, especially that of juveniles, pending demonstration of fair trial standards. Before the 23-page report was finalized, a copy of it was submitted to Iranian authorities for their response, according to UN protocol. Unlike the two previous reports, where instead of responding to the report Iranian authorities questioned the Special Rapporteur’s mandate and his character, they did respond to this most recent report in the allotted time. 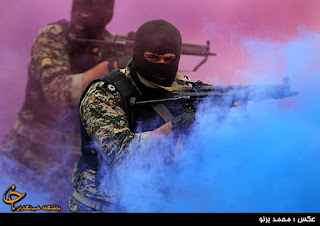 However, Iranian officials did not address the specific instances of violations of human rights, attempting instead to discredit the resources used to prepare the reports, as well as statements made by human rights defenders, international organizations, and victims of human rights violations. According to the report, Iranian authorities have referred to the report’s conclusions as “based on unfounded claims.” Iranian authorities stated that the Iranian Constitution guarantees the rights of all Iranians regardless of their gender, religion, ethnicity, and race. They further claimed that the instances documenting a lack of due process are “fabricated,” as, according to the Iranian officials’ interpretation, Iranian laws prohibit prisoner abuse and use of forced confessions, and facilitate access to legal consultation. In response to the claims raised by Iranian authorities, the report states that Iran does indeed have a legal framework and the required mechanisms for respecting human rights. Shaheed emphasized, however, that the existence of such mechanisms does not discredit the testimonies of the 221 individuals he interviewed between November 2011 and July 2012. 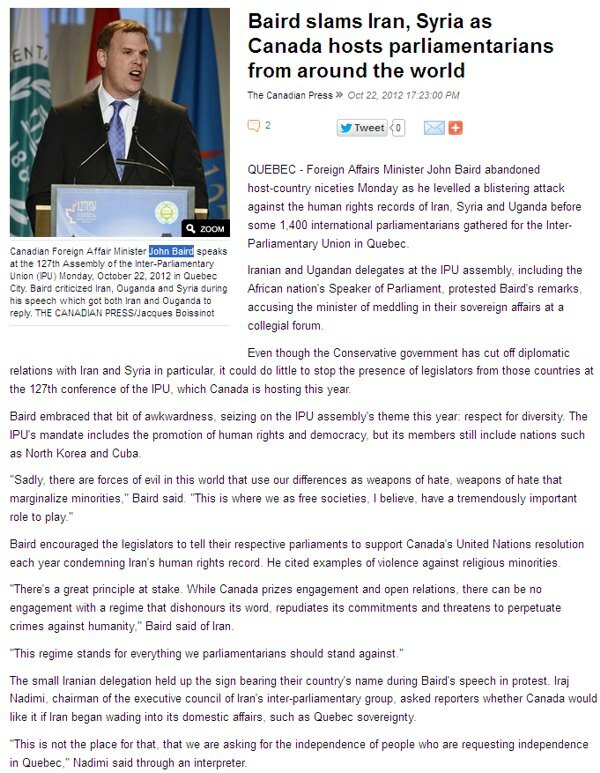 He also expressed regret about the Iranian government’s failure to note and review the numerous instances of human rights violations cited in the report. The Special Rapporteur reviewed 124 cases of human rights violations between February and July 2012, conducting 99 interviews with relevant individuals inside and outside the country. Seventy-five of these interviews were given by people with first-hand experience of violations, and the remaining twenty-four were provided by reliable sources or eyewitnesses of human rights violations. The report indicates that the Special Rapporteur reviewed several documents related to the subject of human rights, including Iranian laws pertaining to the issue, national and international reports, content published in the media, and reports by non-governmental organizations and human rights defenders. 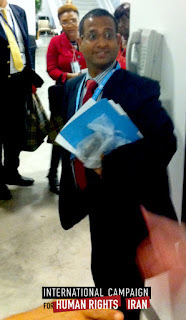 The Special Rapporteur’s report is presented in six sections: I. Introduction, II. Methodology, III. Civil and political rights, IV. 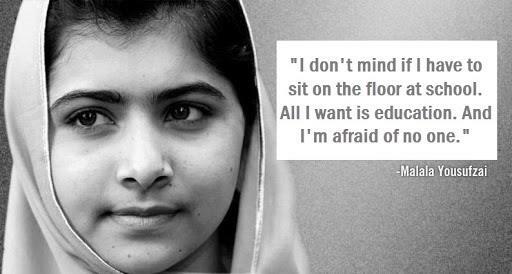 Economic, social and cultural rights, V. Rights of the child, and VI. Conclusions and recommendations. Section III, civil and political rights, which comprises the majority of the report, includes a variety of sub-sections: Freedom of expression and the right to information, Freedoms of assembly and association (Human rights defenders), Freedom of religion (Baha’i community, Christian community, Dervish community), and Administrative justice (The revised Islamic Penal Code; Rights of due process; Independence of the legal community; Situation in prisons; Torture, cruel and degrading punishments and executions). According to the new rules of the UN General Assembly’s Third Committee, UN reports like the Special Rapporteur’s must be around 10,000 words in length. Previously, the Special Rapporteur included details of various cases in report appendices. But according to the new rules, the appendices are now also included within the 10,000-word limitation. In this report, therefore, the Special Rapporteur announces the implementation of a website to present all the information and details used to compile the reports, as well as responses submitted by Iranian authorities. 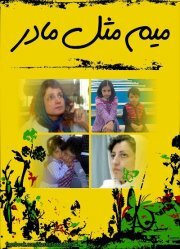 The website will soon be available at: http://www.shaheedoniran.org/english/reported-cases/index.1.html. The present report places special focus on systematic trends and legal impediments which violate the legitimate rights and liberties of Iranian citizens. Details of specific cases are expected to be placed on the above-mentioned website. The report also discusses the issue of “blasphemy,” one of the subjects addressed by the new Islamic Penal Code. According to the report, “Article 263 of this law states that any person that insults the Prophet of Islam or other Great Prophets shall be considered as sabb al-nabi and punished by death.” The Special Rapporteur states that “acts of insult and defamation do not constitute ‘serious crimes’ for which the death penalty may be permissible” according to Iranian laws. “Despite attempts to refine the Code’s blasphemy provisions, the law remains vague on what constitutes an ‘insult,’” the report continues. The Special Rapporteur states that the general reference to “insults” in the Islamic Penal Code without specific manifestations is inconsistent with Iran’s international commitments. In paragraphs 14 through 17, the Special Rapporteur discusses limitations imposed pertaining to Internet crimes and banning websites under different reasons. 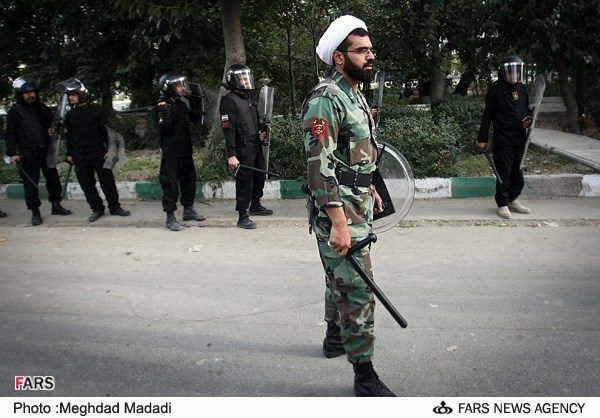 The report refers to 19 “netizens,” including four men sentenced to death, Vahid Asghari, Ahmad Reza Hashempour, Mehdi Alizadeh Fakhrabad, and Saeed Malekpour. The report states that witnesses reported all four men were psychologically tortured to deliver forced confessions. The case of Mohammad Shokrayeh, a Qazvin cartoonist who drew a cartoon of a Member of the Parliament and was sentenced to 25 lashes, is noted in paragraph 22 of the report. The prosecution and sentencing of Iranian filmmakers Jafar Panahi and Mohammad Rasoulof are also mentioned. The report also covers prosecution of human rights defenders and their sentences of 6 months to 20 years in prison for their activities. Interviewees told Shaheed of their detention and imprisonment and the interrogations of their family members and friends. The report also extensively discusses freedom of religion, addressing the situation of Baha’i, Christian, and Dervish communities in Iran. The cases of Arab and Azeri ethnic minorities are also addressed in the report. Tehran: Iranian foreign ministry dismissed a recent report by the United Nations human rights investigator on Iran as "politically motivated," "biased" and without any legal basis, Press TV reported on Saturday. On Thursday, Ahmed Shaheed, the United Nations special rapporteur on human rights situation in Iran, said in a report that the Islamic republic has repeatedly limited freedom of media and right activists inside the country, detained a number of them and mistreated them. 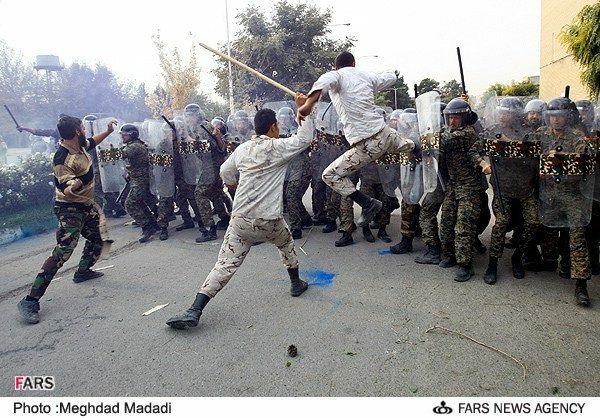 The report, which accuses the Iranian government of human rights violations, is a reflection of "Western animosity toward Iran," a statement by Iranian foreign ministry was cited as saying by Press TV. "Ahmad Shaheed's report contains repeated claims, which the Islamic republic has dismissed several times. In addition, his claims are based on accounts by Iran's enemies, resulting in an unsubstantiated report that does not reflect the realities on the ground in the country," said the statement. On June 17, the United Nations Human Rights Council chose former Maldivian Minister of Foreign Affairs Ahmed Shaheed as its human rights investigator on Iran. Later in the month, Iranian Foreign Ministry Spokesman Ramin Mehmanparast criticized the appointment of a special rapporteur by UN Human Rights Council on Iran's human rights condition as a " political act." The spokesman said that such a move by the council was politically-motivated, and was done under the pressure of the West. The designation of such a rapporteur was "not acceptable for us, " Mehmanparast said. 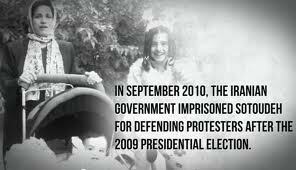 Islamic regime in Iran continue to take family members of those killed in 2009 protest against presidential election fraud and those of political prisoners as hostage! If there was less censorship and if there was freedom of press and if most of the reformists media was publishing today and again if independent journalists were free today instead of being imprisoned and if there was no intimidation and threat against reformists and human rights advocates, or journalists, then we could go for fishing and find out how many of family members mysteriously killed or threatened or silenced or taken as hostage in order this regime run the country as it is doing in the sake of all the above. But to show just one example and that is ; The father ,mother and aunt of young Iranian Behnoud Ramezani who was killed during 2009 peaceful protest against presidential election fraud were arrested and sentenced by prosecutor of Mazanderan province Mr. Asadollah Jafari and court of revolution to 8 months imprisonment ( in the case of Behnoud's dad and mom ) and 4 months imprisonment (in the case of his aunt ). And the irony is ; they were arrested because they wanted to hold memorial for their loved one. Regime's security together with judiciary officials asked family not to hold any event and keep quiet but Behnoud's family ignored the threat. I bet you ,if independent journalists would investigate on this issue ,there would have been thousands of cases,this regime violates Iranian people's basic rights and take the oppositions family as hostage.According to Behnoud's father,Behnoud was attacked by motorcycle riders ( Basiji's) on the night of last Wednesday of the year celebration ,they broken his hand,foot and neck and.one of his testicle was also damaged and died .Behnoud's dad says he will follow his son's case until he finds the killers. Behnoud was mechanical Engineering student of Noushirvani industrial University of Babol. 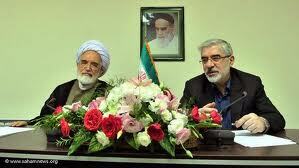 Mir hossein Musavi & Mehdi Karoubi ,600 Days of house arrest by Khamenei & coup d,eta Government ! 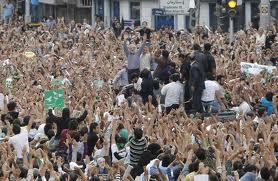 600 days passed since the house arrest of two presidential candidates Mir Hossein Musavi , Mehdi Karoubi and their wives. 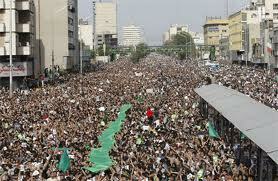 Iranian People know them as the leaders of green Movement. Two presidential candidates of 2009 election in Iran. 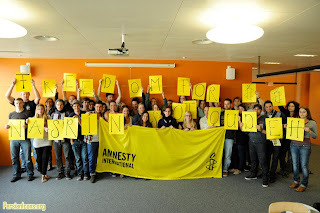 The international human rights organization, particularly UN and democratic Government around the world must break the silence and demand from the Islamic regime in Iran for their immediate release. 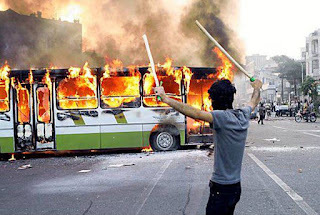 Things are getting though for ordinary Iranian people. 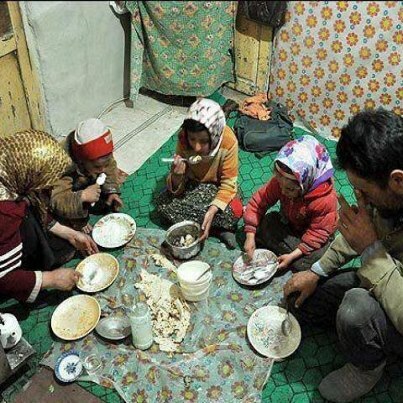 A single mother or a man with family have to spend 3000 Tuman every day just to put bread on family kitchen table. This is happening while the Government's earning in its seven years office from Oil revenue was up to 600-800 Billion dollars. 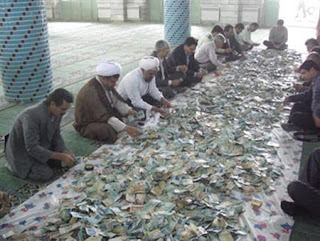 Embezzlement's from "Sepah" , "Saman ", "parsian" , "Sanat va Madan" Banks embezzlement. "Hormozgan " Bank embezzlement Tens of Million Euro . (Beirut, October 5, 2012) – Iranian authorities should immediately free seven teachers who are behind bars solely for speaking out against the government, Human Rights Watch said today. Iran should also end harassment of dozens of others teachers who are facing charges or who have already served time in prison on national-security-related charges. Human Rights Watch issued the call on World Teachers Day as part of a joint campaign initiated by Iranian and other international rights groups to highlight the plight of teachers who criticize the government. Iranian authorities have detained at least 39 teachers since 2009 on various national-security-related charges. Revolutionary courts have sentenced 15 of them to prison, mostly in connection with trade union activities, including protests calling for wage raises. Several others were arrested in connection with activities unrelated to their teaching, including participation in anti-government demonstrations following the disputed 2009 presidential election and advocacy on behalf of ethnic minority rights. 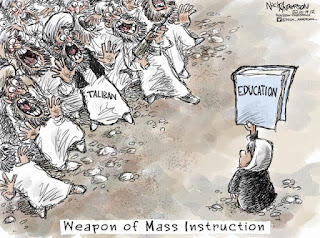 “The arrest and detention of teachers is symptomatic of the Iranian government’s inability to tolerate any show of dissent, even from those it entrusts with the education of its children,” said Nadim Houry, deputy Middle East director at Human Rights Watch. While 32 of the teachers have been released, seven remain in jail. Among those released, some still have pending charges and could be summoned to court at any time. All 39 were targeted for exercising their rights under international law of freedom of speech and association, and peaceful assembly, Human Rights Watch said. The Nobel Peace Laureate Shirin Ebadi and dozens of other Iranian rights groups both inside and outside the country spearheaded the “Be the Voice of Iranian Teachers” campaign on September 29, 2012. 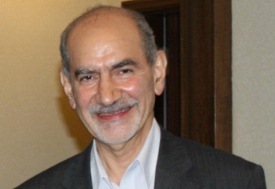 Mohammad Davari, Rasool Bodaghi, Abdollah Momeni, and Mahmood Bagheri are currently serving a total of 24-and-a-half years behind bars on various national security charges including “propaganda against the regime,” “colluding and assembly with the intention of disrupting national security,” and participating in illegal gatherings. All except Momeni are members of teachers’ trade unions. 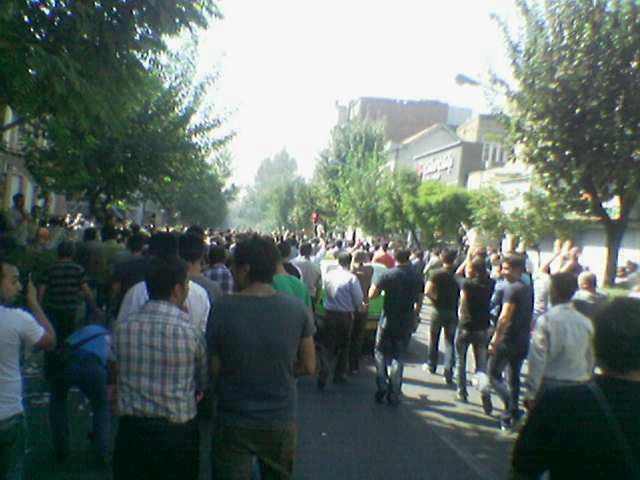 In May 2010, authorities executed a Kurdish teacher and political activist, Farzad Kamangar, after a revolutionary court sentenced him on the charge of moharebeh, for his alleged ties to an armed Kurdish group. In February 2008, Kamangar’s lawyer told Human Rights Watch that his client had alleged numerous instances of abuse and torture at the hands of prison authorities during his detention. Authorities have prosecuted, summoned, harassed, disciplined, or fired dozens of teachers and university professors since President Mahmoud Ahmadinejad took office in 2005. 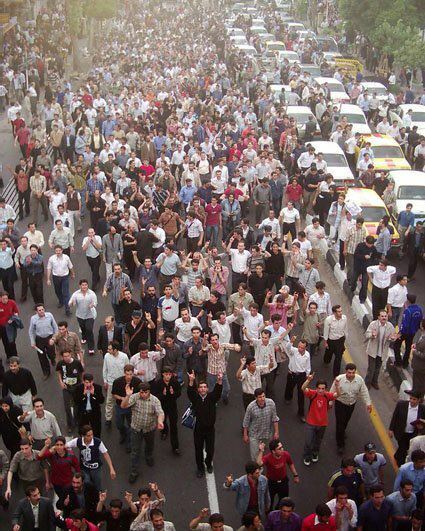 After major demonstrations by teachers’ trade unions in 2006 and 2007, the Disciplinary Violations Board of the Ministry of Education dismissed or disciplined hundreds of teachers who took part in the protests. 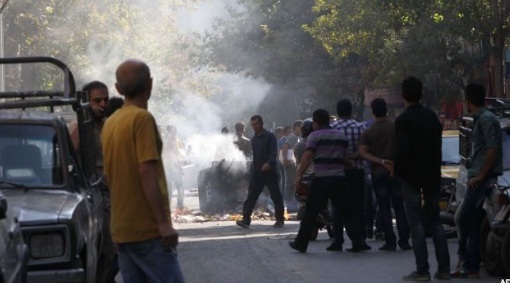 In recent cases, authorities summoned and threatened Mohammad Tavakoli, a member of the Teachers Trade Society in the city of Kermanshah, on August 11 for his trade union activities. 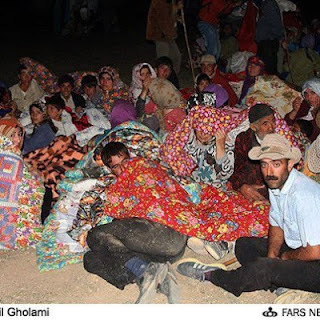 On May 2, security officials in Iran’s Kordestan province summoned and interrogated 13 Kurdish teachers in relation to their trade union activities. 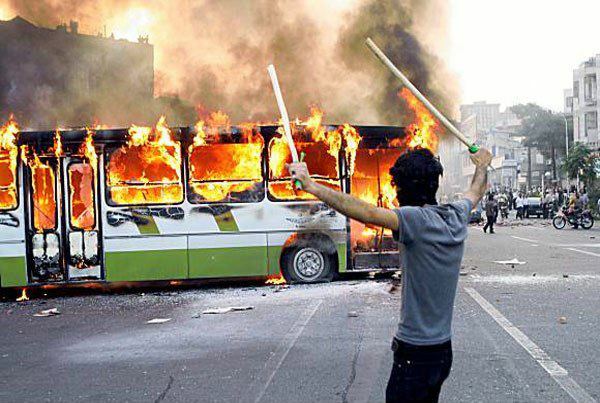 Earlier in 2012, Branch 1 of the Revolutionary Court in the central city of Yazd sentenced nine teachers, all members of a local teachers union to prison terms on various charges, including of propaganda against the regime related to their participation in strikes asking for wage increases. The court suspended their sentences. Article 22 of the International Covenant on Civil and Political Rights (ICCPR), and article 8 of the International Covenant on Economic, Social, and Cultural Rights (ICESCR) protect the right to form and join labor unions. Iran is a signatory to both of these treaties. 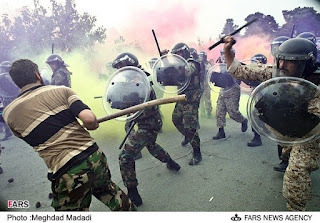 Iran is also a member of International Labour Organization (ILO), but has so far refused to sign covenants 87 (Freedom of Association and the Protection of the Right to Organize Convention) and 98 (Right to Organize and Collective Bargaining Convention) of the ILO treaty. Please see below for a list of imprisoned teachers. 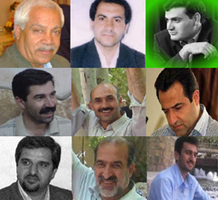 Alireza Ghanbari; Hashem Shaabaninejad; Hadi Rashedi, Mohammad Davari, Rasool Bodaghi, Abdollah Momeni, and Mahmood Bagheri, (all currently in prison); Mohammad-Ali Agooshi, Shahoo Hosseini, Abdolvahed Maroofzadeh, Molood Khanchezard, Ail Besharati, Mozafar Sharifi, Razgar Sharifi, Ali-Akbar Baghani, Mahmood Beheshti Lageroodi, Nabiollah Bastan, Mokhtar Asadi, Hashem Khastar, Amir Yaghinloo, Mohammad-Jamal Hiki, Esmaeel Abdi, Alireza Hashemi, Ali Poorsoleiman, Ahmad Medadi, Bagher Fathali Beigi, Zhara Hatami, Ali Najafi, Asghar Mohammadkhani, Saeed Jahanara, Eliass Talebi, Mohsen Jeldyani, Jafar Ebrahimi Aznadariyani, Tofigh Mortezapoor, Mohammad Farajian, Mohammad Ali Shirazi, Masoomeh Dehghan, Hossein Toroghi Jafari, and Mohammadreza Rezaei Gorgani. 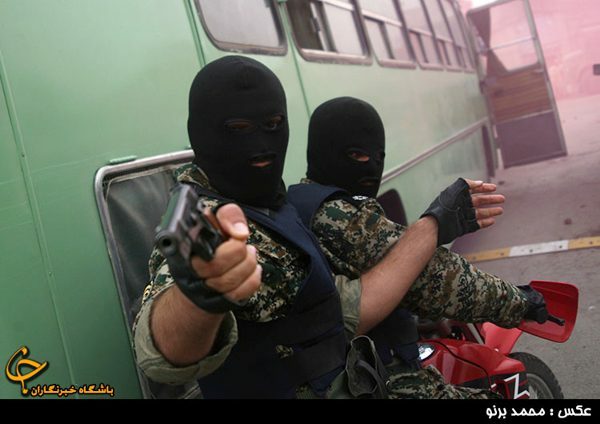 FARS news agency belong to "Sepah" the revolutionary Guards. Bazar- Protest in Persian Traditional Bazar against devaluation of Iranian money, people chant " close the shop"...."Zealous Bazari support support "